Android Emulators are designed to run Android Apps on your Windows computer.As they require a lot of Physical Memory and storage, finding a suitable one is a great headache.There are tons of Android Emulators for PC.But finding an efficient one for your PC is a real tough task. This article also shows which are the best Android Game Emulators too. If you are a serious gamer, you should actually have look below. You know, Android Emulators like BlueStacks, Andy, and Droid4X requires a lot of RAM and Internal Storage. So many of the users are not able to use the same. So for that reason, I have included some top performing best Android Emulators to the less as well. If you are a guy with a computer which is fo low specification, don’t worry. This article will help you to find really coolAndroid Emulators that support Low Configuration Systems, too. 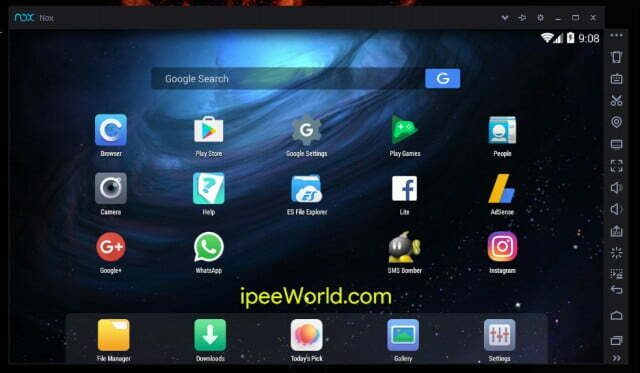 If you don’t want to Download or Install anything then I would recommend you to have a look at Online Android Emulators which will help us to use Android Apps in just any Web Browsers. Here in this Article, I will be sharing top and best fastest Android Emulators to run Android Apps on your PC. I should add Nox App Player to the top of the list because it deserves to be on the top of the list. Needless to say, Nox App Player is awesome and is great for personal use. The User Interface and Easy to use are the two prime factors that really attracted me to try Nox App Player. After using it for a while, I became a great fan of it. Now I am using Nox App Player on my PC to run Android Apps on my PC. 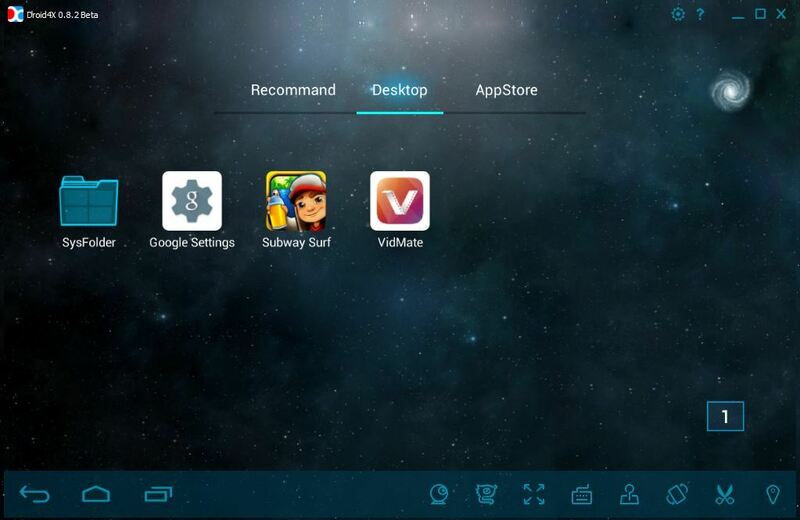 When talking about Android Emulators, we cannot avoid Bluestacks.Bluestacks is one of the oldest as well as efficient Android Emulator program available for Windows platform.Bluestacks was mainly targeting gaming users but now it is better for App Developers too.The very recent version of Bluestacks, Bluestacks 2 which is more efficient, faster and stable allows anyone to play high graphical games as well as Multitasking.Bluestacks comes with both free and optional $2 per month plan in the market. Install third-party APK directly from your PC by simply double clicking it. After the huge success made by Remix OS, Jide Technologies turned around and launched it’s very own new Android Emulator called Remix OS Player. 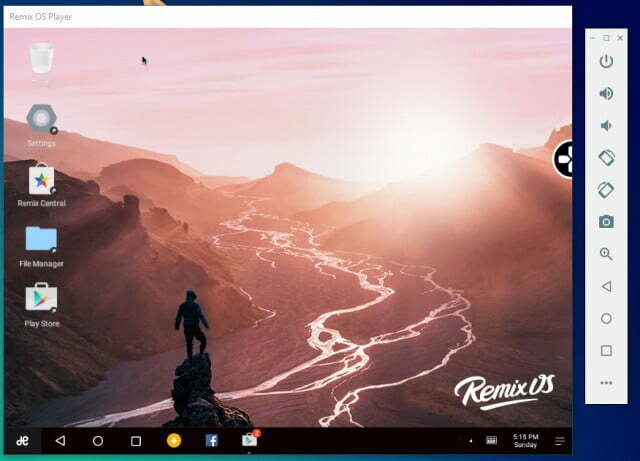 Remix OS let us install Android on our PC directly, this was not an Emulator, but a real operating system. This one is a completely free Android Emulator called Andy.Andy is user-friendly for every App developers as well as Gamers.Andy is really unique when it comes to the features part.You can use your smartphone as a controller while playing Games.This one supports ARM and you can directly Install apps to Andy through your Desktop.Andy Installer Package comes with VirtualBox in it.It needs virtualization and VirtualBox will be automatically installed while installing Andy Android Emulator. Next one in our list is the Droid4x Android Emulator.Droid4x is the best alternative to Andy.This one comes with many features as like what we have in Andy.Andy is ideal for both Gamers and Developers.For Developers, Working with their apps will be super easy with Droid4x.Upon our review on Driud4X, it seems to be promising and is way efficient than other programs in the market.Droid4x is completely Free for both Developers and users.You can also use your Smartphone as a controller to play games as like in Andy. Use Smartphone as a controller while playing games. KoPlayer is new to the market which comes with many features that will blow your mind.KoPlayer is mainly targeted for Gamers.That’s exactly why most features of KoPlayer is Gamer friendly.The installation process is simple and straight forward.One of the highlighted features of this player is the Keyboard to Touch Mapping control which is unique. Genymotion is the perfect option for any App/Game Developers.Genymotion is for those who want to test their apps on various devices simultaneously.You can yourself configure Genymotion for any android device.For example, you can run Nexus One with Android 4.2 or a Nexus with Android 6.0.You can easily switch between devices and try apps on any device you like.Genymotion exactly targets App Developers and is not that great for consumer option, But if you want, they also provide a free plan as well. Other than Android Emulators, there is simple OS specially developed for PC users.These OSs helps us to run Android Apps on our PC.By installing these OS, Our computer completely transforms into an Android Device. These OSs comes pre-installed with Google Play Store and many other apps. 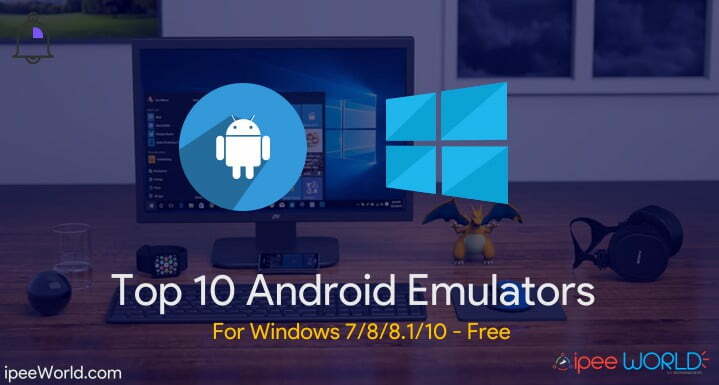 Hope you guy found this list of awesome Android Emulators for Windows 7/8/8.1/10 useful.Go through every Android Emulator mentioned above and find one that suits your needs.All Emulators mentioned above are light weight and faster, So you should give it a try. Do share this Article with your friends over Facebook, Twitter, G+ or anywhere you like.Let them also know about Top Android Emulators for Windows. can we install them side by side on a system? Yes. They run like normal softwares. BlueStacks shouldn’t be the 2nd of the list, it’s awful. Memu should be included (like Nox it’s already rooted, and not full of ads, like the awful BlueStacks.